With the upcoming solar eclipse that has most of America a-flutter, I thought I would write something about the observatory that we have here in Lockport. What? You didn’t know there was an observatory in Lockport? I would bet there are quite a few people who had no idea. I had the pleasure of visiting it once when I was a kid, and again about three years ago when Lockport High School principal, Frank Movalli, gave me a quick tour. I can tell you the night I went to attempt a glimpse at Halley’s Comet was October 2, 1985. It was the same night Rock Hudson died. I remember hearing about Hudson’s death as the radio was playing for me to get up for school the morning after spending half the night looking at the stars. I can just remember my parents coming in to wake me after a phone call from our Scout leader, Mr. McCandlish. We were going to see Halley’s Comet. We had spoken about it at several meetings and this night was going to be our night. Mr. McCandlish swung by with the station wagon, and I joined several other fellow sleepy Boy Scouts. Off to the Lockport High School Observatory we went. The John T. Remick Astronomical and Meteorological Observatory is located on the west side of Lockport High School in a small building in the parking lot. This nondescript building is nearly forgotten. It may be a fair bet that most of the students passing through the halls at the school are completely unaware of the contents of that building. Mr. Frederick N. Remick, desired to see our local high school have such a station and observatory so that interested students could follow in his son’s footsteps. John Remick, his son, graduated from Lockport High School in 1936. After graduation, he studied at the University at Buffalo and the University of Illinois. Afterwards, he attended the Massachusetts Institute of Technology, where he studied general science and meteorology. While at MIT, Remick was commissioned a second lieutenant and entered the Air Force upon graduation. At each of his many service locations, he not only acted as the meteorologist in charge of the station, he also helped to organize the stations and set up suitable recording guidelines. Later in his military career, he was in command of all the weather stations from Hudson Bay to Iceland, and from Greenland to the Azores. He terminated his service from the Air Force in 1946 with the rank of lieutenant colonel. After leaving the Air Force, he served as an airway forecaster at LaGuardia Airport in New York. At the end of his career, he worked at Washington National Airport, serving as meteorologist, Emergency Warning Section, US Weather Bureau. He remained at that post until his death March 23, 1961. 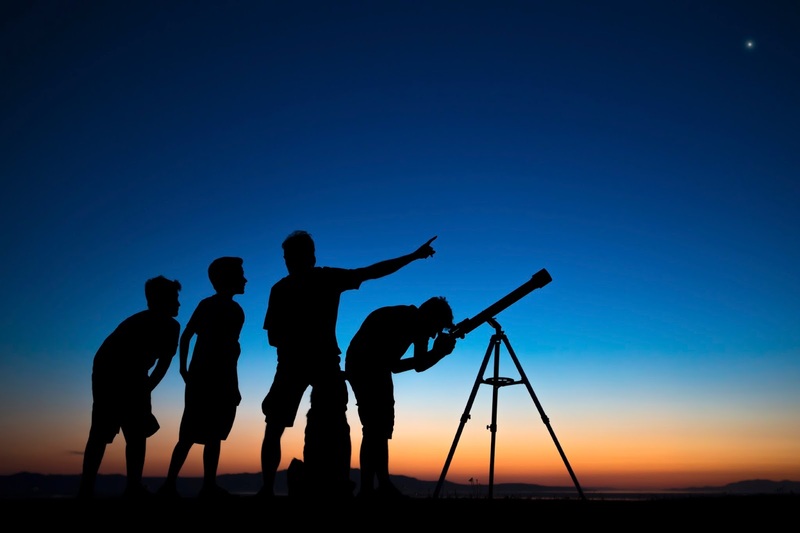 At the completion of the construction of the observatory and the installation of the 12-inch telescope, the Lockport Astronomy Association was formed. At the time, the telescope at the high school was one of only two public telescopes in Western New York. Over the years, the observatory was utilized for several celestial events, aside from the Halley’s Comet watch that I went on. In 1977, a partial solar eclipse occurred on July 10th. The observatory hosted 150 people hoping to catch a glimpse. Marshall W. Baker, a member of the Association, said, “The scope was continually busy, I would say, for two hours. We had a lineup for most of the time we were there.” They also showed a slide show about other solar eclipses. As late as 1990, the observatory was still in use. It was opened to the public on September 11th at dusk to observe the Levy Comet. At that time, the Lockport Astronomy Association opened the observatory every Wednesday evening when the skies were clear. Later that winter, in January, 1991, people visiting the observatory were able to view a special grouping of the planets Venus, Mars, and Jupiter. I’m not sure when they stopped using the observatory regularly, although Mr. Movalli did tell me that the telescope had been damaged and needed to be repaired. Also, the lights from the strip on Transit sometimes was problematic. He did tell me that the Association was in the process of getting the observatory and telescope refurbished. In 1985, we were not able to see Halley’s Comet. The skies in that direction were cloudy. However, other parts of the sky were clear enough for us to see some stars and Saturn. I think it was Saturn. It was my first time seeing another planet with my own eyes, rather than in a book. It was surreal. I loved that night, searching for a comet. I loved it so much, I asked for my own telescope, which I got. It’s still in the attic. I need to pull it out, clean it up, and take the girls out so we can do some stargazing. As the for observatory and telescope, if anyone from the Lockport Astronomy Association reads this, if you could please keep up updated on any progress, we would be more than happy to keep the world apprised. It is a wonderful asset in our community. We should all be supportive of continuing the fine tradition begun by Mr. & Mrs. Frederick N. Remick in honor of their son, John. Craig Bacon would love to travel out among the stars. The exploration would be longer than a five year mission, and would be even greater if he didn’t have to stop for a hitchhiking Matt Damon.